Fortnite developer Epic Games introduced Blockbuster challenges as part of its season 4 update. As long-time fans will know, Epic releases a new set of seven Battle Pass challenges each week. Fans need to complete any four of these challenges to be rewarded with 4,000 XP. The challenges are separated into hard and regular tiers of difficulty. The hard difficulty Fortnite challenges net players ten Battle Stars, while the regular tasks reward fans with five Battle Stars. Blockbuster challenges give players extra incentive to complete all of the weekly challenges, because the game rewards you with a special loading screen for each week. These loading screens contain hidden clues that point towards a secret Battle Star on the map. Check out the gallery above for a look at the Blockbuster loading screens and the locations of the hidden Battle Stars…. 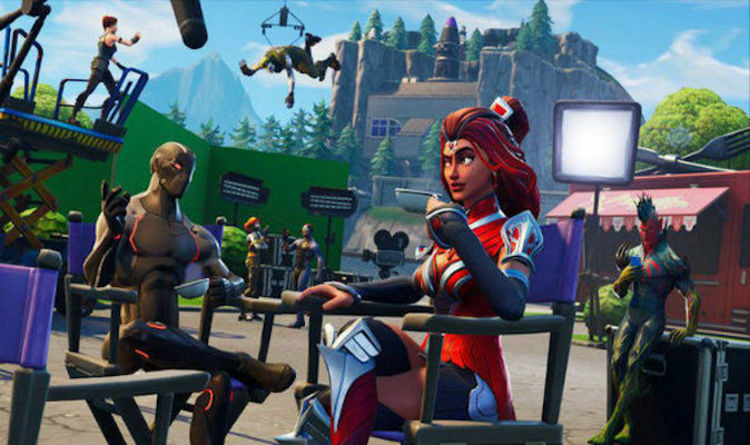 The week 6 Blockbuster loading screen features a movie set. If you look really closely, you can see the hidden Battle Star above the food truck in the background. This particular food wagon can be found in Greasy Grove, but it should be noted that it will only appear after you have completed all the Week 6 Challenges. Landing around or near the B7 Map marker should make it possible to find the special Season 4 prize.